I'm trying to avoid spironolactone due to IBS issues and the fact that it definitely made me feel off. I may end up going on it but I'm still trying to cure my hormonal acne through diet and natural means without going on medications. I'm also starting to suffer from hot flashes so I feel like I'm sweating or cooking from the inside frequently... But apart from the right side of my face (cheek and chin) being covered in hard small cystic bumps that are painful (my forehead and left cheek are 90% clear), I feel so much better not being on BCP which I went off in June. Just for some reason, after I went through an elimination diet after an IBS diagnosis, my skin rebelled big time. My stomach was great, my skin was not. As 3 bumps calm down and leave scarring, 3 more new ones pop up. I'm beginning to think icing and salicylic acid is making it worse (I use Sage Skin Care, going back to it, after trying numerous other options). After I ice, I see small bumps turn into huge painful ones. Isn't icing supposed to reduce inflammation??! And the salicylic acid is just making my skin dry but the bumps underneath remain. Popping them when they come to head isn't even draining them completely. I use Mario Badescu drying lotion but it doesn't help too much, just makes them look less angry and red a bit, but the gunk inside? Still there. Aczone and Differin did not work. So my OB/GYN did a hormonal blood panel and told me today that my Vitamin D levels are very low, my thyroid levels are within normal range but on the very low side of the range and my testosterone is way low (his words). He wants me to try spironolactone for a few months but frankly, the side effects do scare me. I didn't give it much of a try, using it for 3 days and my IBS went crazy and I woke up in the middle of the night several times to urinate (like I was pregnant again!). I also felt my heart racing. I'm now taking a thyroid pill but what about the supplements? They don't seem to be helping too much with the cystic acne except the bumps are small and hard and painful and seemingly less deep than the really deep ones I tend to get on my chin that never come to a head. Should I cut back on the supplements? Should I try Estrotone or Estroblock? Should I abandon cleansers and clean with essential oils? It's only my right side which is so strange! I never had acne this bad when I went off birth control 5 years ago to try for my 2nd child. It simply won't go away even with BP10% treatments. All that does is making the small bumps into bigger harder bumps. Nothing is shrinking them except for lancing and even then the gunk doesn't come all the way out and I'm left with a scar. My right cheek and chin are a mess. Your thoughts are scattered all over the place, so I can't really effectively address all of your questions. 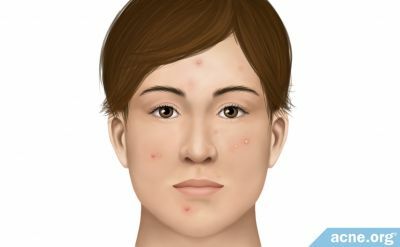 I would just go through this acne bootcamp regimen since it combines diet changes, hormonal changes, and even vitamin D deficiency. It's very specific about what you can and can't do and all OTC so I would give that a go if you won't want to jump on spiro again.